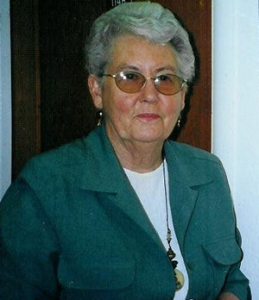 Mary Esther Lively-Neinast, 92, of Keene and formerly of Crescent City, CA. died on Wednesday, October 10, 2018 at Langdon Place of Keene. She received wonderful care at Langdon Place of Keene and passed peacefully in her sleep. Mary (Esther) was born the daughter of the late Samantha (Hepler) and Lloyd Cowley on October 17, 1925 in Medford, Oregon. She was the oldest of seven children and she cherished the time spent with her siblings throughout her life. On September 25, 1947 she exchanged vows with Walter W. Lively at the Church of the Nazarene in Crescent City, CA. They had two children Lloyd Duane (9/28/48-3/28/59) and Leanne Marie. Walter passed in 1994 after forty-seven years of marriage. Mary (Esther) met and then married Dean Neinast, Sr. on April 20, 1996 at the Church of the Nazarene in Crescent City. Dean passed in 2001 after five years of marriage. Mary (Esther) worked for the County of Del Norte, CA. as the Deputy Tax Collector for nine years before retiring in 1978. Mary (Esther) was an active member of the Church of the Nazarene while in Crescent City, CA and in Keene. She enjoyed exploring family history and genealogy. She loved to read a good book and when time permitted she enjoyed painting. She is survived by her daughter; Leanne M. Anderson (Dwight) of Keene and Foster daughter, Judy Jones of Ferndale, CA. Her siblings; Don Cowley (Ginny) of Nampa, ID Eunice Hartwick of Crescent City, CA, Eldon Cowley (Tracy) of Redmond, OR. and LaDonna Deide ( Darrel) of New Meadows, ID and sister- in-law; Carol Cowley of Beaverton, Oregon. Her grandchild; Patrick J. McLaughlin (Sarah) of Keene and foster grandchild; Sarah Jones of CA. Three great grandchildren; Kiera McLaughlin, Molly McLaughlin and Zoe Hope all of Keene. In addition, she leaves cousins, nieces, nephews, extended family and friends.